With cold clear temperatures and wind chill we are experiencing some very cold weather, in some areas of the Fraser Valley temperatures are getting in the -20 with wind chills. Not many anglers out on the flow but you will always find a few die hards still out trying to land their first steelhead of the season. 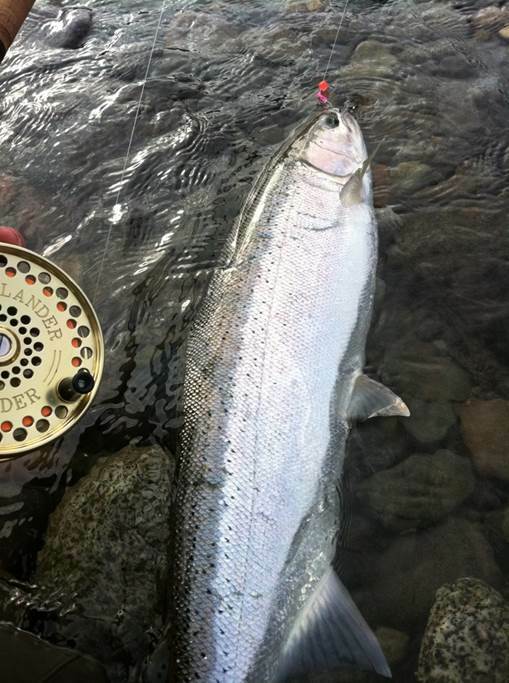 Vedder River Steelhead – Cold clear weather patterns will keep water levels low and visibility clear until things start to warm up, in the meantime steelhead will continue to trickle into the river moving their way up the river mostly in the darkness of night. A few years back I was involved in a study of steelhead on the Vedder where we monitored movement of steelhead and it was no surprise to us that during low clear conditions, steelhead would move up river at night and hold in deeper pools and shallow tail out during the day. 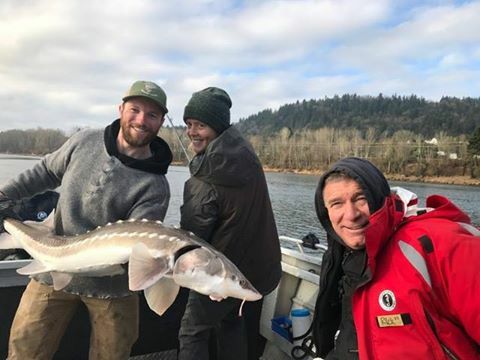 Fraser River Sturgeon – During the Christmas holidays we managed to get out a few days for sturgeon on the lower Fraser. Sturgeon fishing was still very good and we still managed to tag and release a good number of fish with our local hero Rick Hansen. Salmon eggs and Lamprey eel are always a good bet during winter conditions, bites are very light so don’t take your eye off that rod tip. Harrison River – clear cold weather is the story on all local Fraser Valley Rivers including the Harrison but that also means no people and lots of water to cover. There is a good population of resident cutthroat and there are still a few Coho swimming around although they are getting pretty tired. Some early Chehalis steelhead are moving in and during low clear water they will hold in the Harrison and wait for highwater before moving up stream. Good bet is to fly fish or light tackle spin fish above Harrison rapids all the way up to Morris confluence. Harrison River Sturgeon fishing can be very good in winter conditions so if you plan on doing a little steelhead/cutthroat fishing don’t forget to bring along your sturgeon rods. 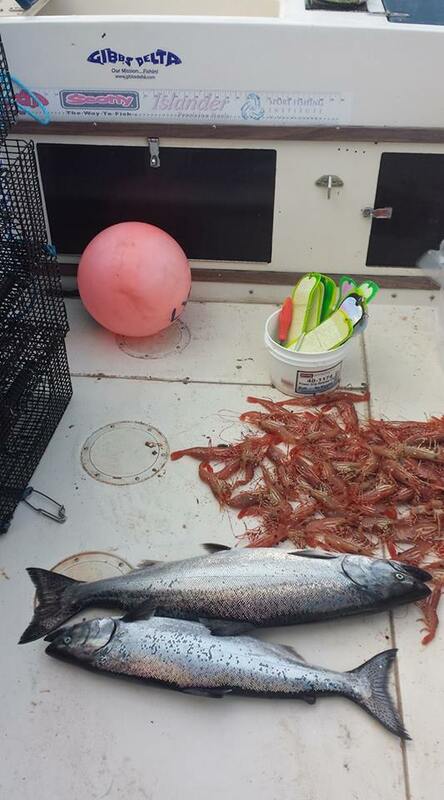 Best bait on the Harrison is salmon eggs and chum flesh. 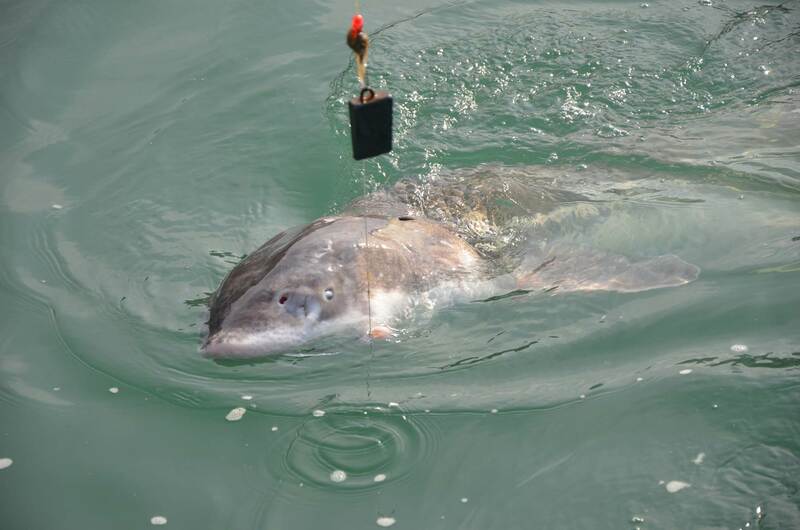 Vancouver Salmon Fishing – Winter Chinook fishing is available year round in Vancouver Harbour, although it can be cold and windy at times, most of the time it is calm and cool during January. If you’re in the Vancouver area and are looking for an opportunity to get out on the water, we can provide 5 and 8 hour charters departing from Granville Island and River Rock Casino in Richmond. If your planning on heading out yourself, best to stock up on the GibbsDelta Guide Series Flashers and some G-Force spoons. You are currently reading Jan 05 Fishing Report Update at Hells Gate Jet Boat Tours Blog.